Ravindrasinh Anirudhsinh Jadeja is one of the most popular Indian cricketers of the present time. Born on 6th December 1988, he is known to hold tons of records. While Ravindra Jadeja has been active only for the last few years, he has also gained an impressive reputation. Known as one of the best all-rounders in India, he certainly has a long way to go as well. If you are also a fan of Ravindra Jadeja, the Indian cricketer – then you have come to the right place. Read on and get to know more about your favorite cricketer. Born on 6th December 1988 in Jamnagar, Gujarat, this 29-year-old cricketer made his international debut in 2009. Before that, he was active in the junior league and domestic cricket tournaments. He is a left-handed batsman and a left-arm orthodox bowler. This makes him a complete all-rounder. Ravindra Jadeja has often talked about his upbringing in candid interviews. His father, who used to work in a security agency, wanted him to be an army officer. Against all odds, he convinced his family to play cricket. Though, the demise of his mother in 2005 almost made him quit cricket. He got married to Rivaba Solanki on 17th April 2016. After almost a year, he was blessed with a daughter, Nidhyana. After having a look at Ravindra Jadeja biography and personal life, let’s get to know more about his career. Jadeja got picked up for the under-19 tournament in 2006. Although India finished as a runner-up, he impressed everyone by taking 3 wickets against Pakistan in a crucial match. Later, in 2008, he was appointed as vice-captain of the team that won the under-19 World Cup that year. It was also in 2008 when he got into the limelight for his exceptional performance in the Ranji trophy. It was in 2009 when he played his first international match. Initially picked at number 8, he later took the number 7 position by the end of the year. His first big achievement was in December 2009 when he took four wickets against Sri Lanka and got awarded the man of the match. Ravindra Jadeja continued his performance over the years and got a permanent position in the team by 2012. Jadeja was highly appreciated for his performance in a test series against Australia in 2013 when he took 24 wickets. He was also considered important for helping India win the 2013 ICC Champions Trophy. By August 2013, he was ranked as no.1 bowler in the world. Ever since, he has continued his winning streak. It was in 2017 when he crossed the record of holding the fastest 150 wickets in only 32 tests. Not just as a bowler, Jadeja has come out as a remarkable all-rounder as well. Besides domestic and international cricket, he has been active in Indian Premier League too. In 2008, Jadeja was selected to play for Rajasthan Royals. The team went on to win IPL that year. In 2011, he played for Kochin Tuskers Kerala while in 2012 he was bought by Chennai Super Kings for $2 million. In 2016, he played for Gujarat Lions before returning to Chennai Super Kings. He played a crucial role in Chennai Super Kings’ victory of IPL 2018 as well. Ravindra Jadeja has performed excellently in plenty of seasons. This has gained him numerous titles. Let’s quickly have a look at Ravindra Jadeja records and stats. • He has 9 test 5-wicket hauls – the most impressive was 5/21, against South Africa in 2015. • He also had a test 10-wicket haul in 2016 against England. • There is also an ODI 5-wicket haul, happened in 2013 against West Indies. • He has been awarded the Test Man of the Match 6 times till date. • There have been 9 instances when he has received the ODI Man of the Match trophy as well. • He got a T20 man of the match once in 2012. Besides that, there are tons of other performances for which Ravindra Jadeja is known. He has shown his caliber as a complete all-rounder with remarkable bowling and batting skills. Needless to say, Jadeja is here to stay for a long time. 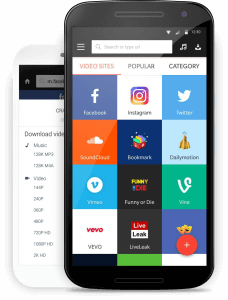 If you are a cricket follower, then you should certainly download Snaptube on your device. It is a freely available app that is compatible with all the leading Android devices out there. You can watch tons of sports-related content and catch the latest news in cricket whenever you want. From movies to news and match highlights to cricket talks, you will find it all in one place. Easy to download and use, it is one of the best entertaining apps out there that every cricket enthusiast should have. Freely available, it will certainly change the way you use your smartphone.